Sometimes you just have to pay homage to the classics, even if they may not deserve it. 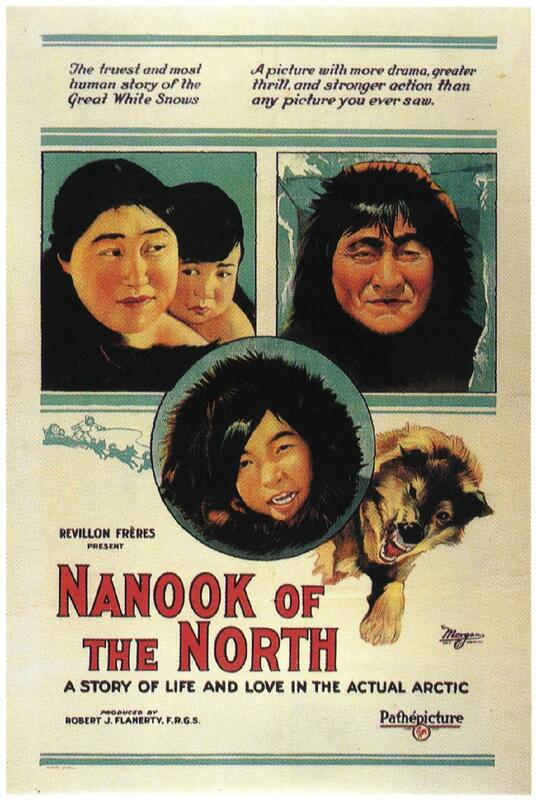 We’re likely going to be arguing about Birth of a Nation for quite some time, for instance, and here’s another one that I’ve been curious about for some time – Nanook of the North, the first docudrama. 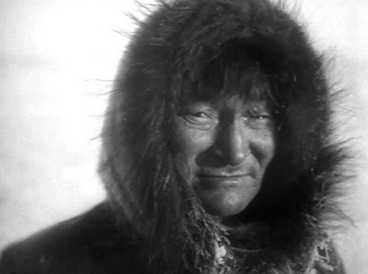 Robert J. Flaherty didn’t start out as a filmmaker; he was a paid explorer, who when working for the Canadian Railroads, spent several years among the indigenous people of the Hudson Bay area, in northern Quebec. This was about 1910; in 1913 he bought a motion picture camera and started filming these people in their everyday lives. In 1916, though, he dropped a lit cigarette on this film, and being nitrate stock, it went up in a fireball (it’s estimated that there was about 30,000 feet involved). He went back with more equipment, and using what he had learned in that previous venture, narrowed the focus to one family, and their struggles to survive a typical year in the hostile climate of Northern Quebec, and the result was a worldwide sensation. But this is one of those movies where the behind-the-scenes is arguably more intriguing than what we see on the screen, and what we see on the screen is actually pretty damned good. There are many controversies surrounding Nanook, and all of them, unfortunately, bring the final product into question. We’ll start with the obvious: the title character, the Great Hunter Nanook (which we are told means “Bear”), is actually named (I hope I get this right) Allakariallak. We are introduced to his two wives, Nyla (“The Smiling One”) and Cunayou. They were apparently not actually Allakariallak’s wives, but – and this is only an allegation, mind – that they were actually Flaherty’s lovers. The parentage of the baby constantly riding in Nyla’s furs, like a papoose, is unknown. The movie begins with some striking imagery, as Spring begins and Nanook paddles his kayak to the white man’s trading post to barter the furs of his winter’s kills. One of his children is riding on the top of the kayak. Nanook gets out, helps the boy to land, and then the kayak starts disgorging the rest of the family, like a clown car. This was a surprise, but so logical, I was placing it in my “Things Learned” column, until finding out about the rest of the picture’s veracity. Now I’m not so sure. There’s a scene at the trading post where the proprietor shows a Gramophone to the baffled Nanook. 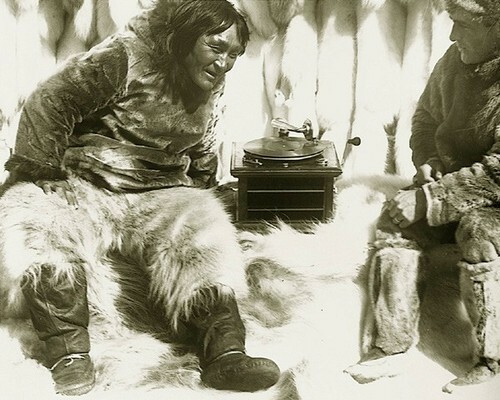 Allakariallak, it turns out, was no bumpkin, and knew perfectly well what a gramophone was; but he also apparently knew the value of comic relief. There’s also the fact that Nanook is portrayed in his constant hunting for food armed only with his trusty harpoon and a knife carved from a walrus tusk (which truly turns out to have a thousand and one uses), when the Inuit had been using guns for years. So Flaherty convinced his plucky villagers to emulate their ancestors in their walrus hunt, and they seem to do a pretty good, if arduous job of it. The hunt itself may not be truly documentary, it may be scripted, but as Roger Ebert pointed out, nobody showed the walrus the script. 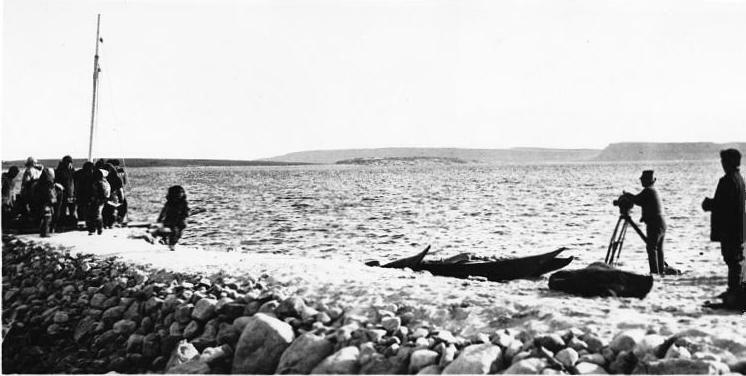 If you’re willing to grant that Allakariallak may be using old-timey methods to trap his other prey, a snow fox and a huge seal, it becomes a fairly nice re-telling and record of those ways. Then, with the onset of winter, the family builds an igloo (the film claims “within an hour”, but I ain’t so sure about that). 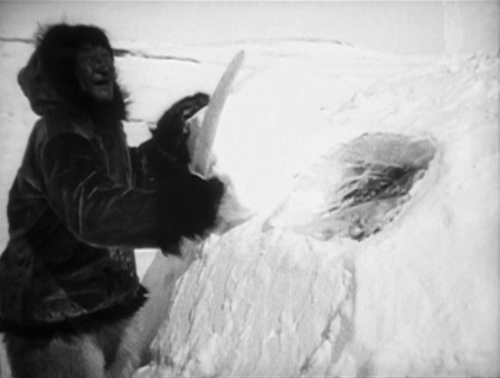 This is one of the most famous segments of Nanook, and it is a wonder to behold: Nanook carving the blocks of snow with his trusty walrus-tusk knife, the women and children spackling the gaps with more snow. And most amazing to my eye, Nanook carving a block of ice from the frozen bay to serve as a window, and then placing a block of snow to reflect sunlight into the igloo. That is neatly done. Then the family settles down for the night under their skins and furs. 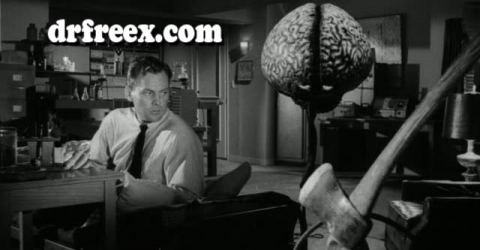 And something is chewing at the back of my brain: I’ve seen the movie cameras of that era, and they are big. Too big to easily fit through the tiny open Nanook and his clan crawled through. And they required more light than could be brought in through that ice window. Yep, Flaherty built a half-igloo, open to the outdoors and its bounteous light. This is a question we have to face again and again as fans of cinema: does a good story trump the needs of historic accuracy? The answer from Hollywood is always a resounding, “Yes!” and who is to say they are wrong? 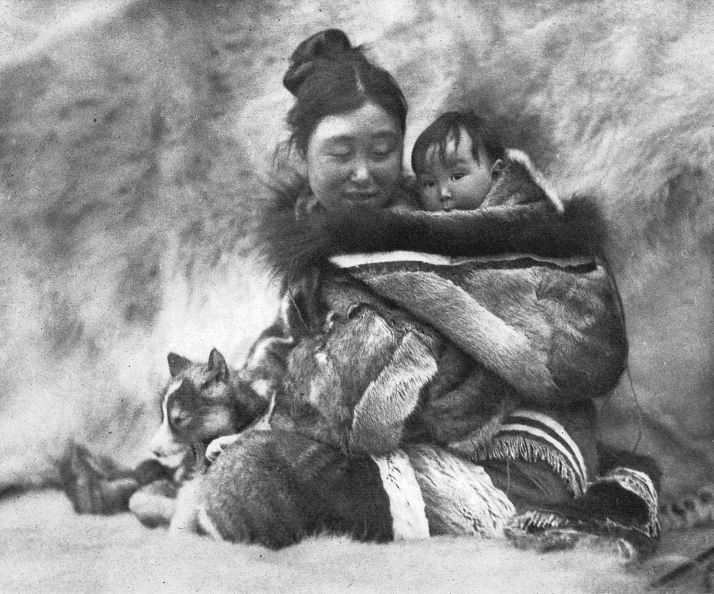 Perhaps Nanook serves best not as a strict documentary, but as a record of a way of life that had vanished before the invention of the motion picture. Hence, not “documentary”, but “docudrama”. Robert Flaherty made a career out of movies like these, and they are all well-regarded: Elephant Boy (with Zoltan Korda, introducing Sabu), Louisiana Story, The Land.